Dr. 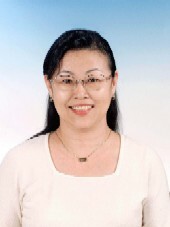 Yen's research interests focus on health education, health promotion, health intervention and community building. She also takes great a interest in behavior analysis and modification. Dr. Yen has developed many programmatic researches in smoking, betel-nut chewing, addictive drugs use, dieting, exercising, and in the use of theories of organizational development as important intervention strategies in empowering the people of schools and communities to perform a healthy lifestyle. Several of her studies have focused on behavioral mediating mechanisms with respect to the prevention of chronic diseases. She has not only implemented many survey researches, but also developed many sets of protocols for providing young people with life skills for having health behaviors or practices. In recent years, she has paid attention to develop healthy schools and healthy communities. These studies have provided her with experiences in the measurement of the behavioral and health parameters and the development of intervention strategies. CABLE (child and adolescent behaviors in long-term evolution) study is an on-going longitudinal follow-up project which commenced in 2001 and is funded by NHRI. This study is a unique and strong collaboration between a research institution and a school-based program targeting all people living in the areas of selected school districts. Dr. Yen has a solid track record in obtaining external research funds and in conducting innovative research. She also has considerable expertise in behavioral assessment, and the development of educational interventions that are designed to target young populations who are facing situations of taking health-risk behaviors. 2. Yen LL*, C CJ, Wu WC, and Pan LY. Aggregation of Health Behaviors among Fourth Graders in Northern Taiwan. J Adolescent Health, 39(4):435-442, 2006. 3. Yen LL*, Pan LY and Wu WC. Changes in Health-related Behaviors among Children of the CABLE Study in Northern Taiwan over Two Years. I. J. Fitness, 2(1):49-59, 2006. 4.Yen LL*, Yen HW and Kao SC. Building a Tobacco Free Campus: A School-based Health Promotion Program. J Med Education, 9(4):333-343, 2005. 5. Yen LL*, Chen L, Lee SH, Hsiao C and Pan LY. Child and Adolescent Behavior in Long-term Evolution (CABLE): A School-based Health Lifestyle Study. Promotion & Education, (suppl 1):33-40, 2002. 6. Wu WC and Yen LL*. The Relationship between Violent Behaviors and Communication Skills among Students of Junior High Schools in Taipei city. Taiwan J public Health, 20(6):485-494, 2001. 7. Yen LL*, Pan LY and Chen HH. Factors Related to Adults' Betel-quid Chewing and Cessation. Journal of Medical Education, 5(4):312-323, 2001.